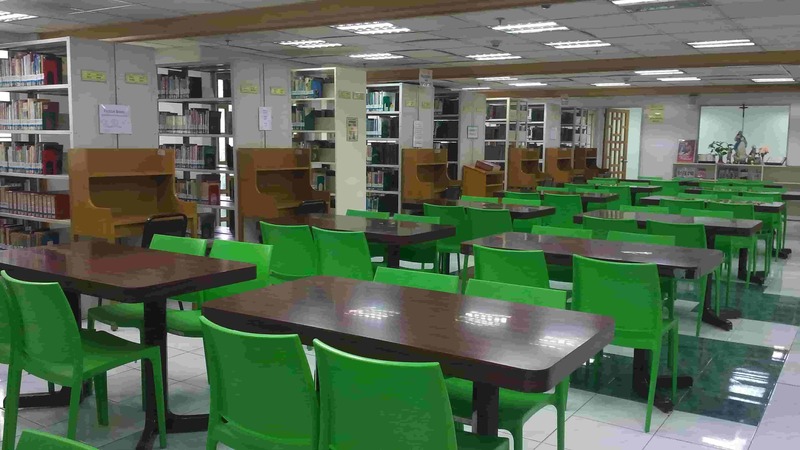 The resources and services of St. Paul University Quezon City Library support the academic programs of the university. As a unit, it endeavors to facilitate the educational process and to provide adequate resource materials that will contribute to the total development of the Paulinian. For a complete list of latest book acquisitions and online journals, please read more below. 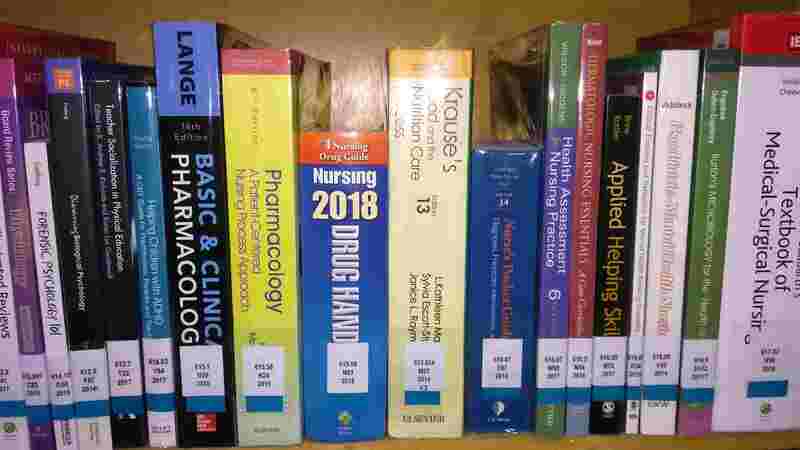 Getting acquainted with the library rules and regulations is a good place to start before you browse and begin with your research. If you have any questions, just approach any staff librarian and they’ll be glad to assist you. 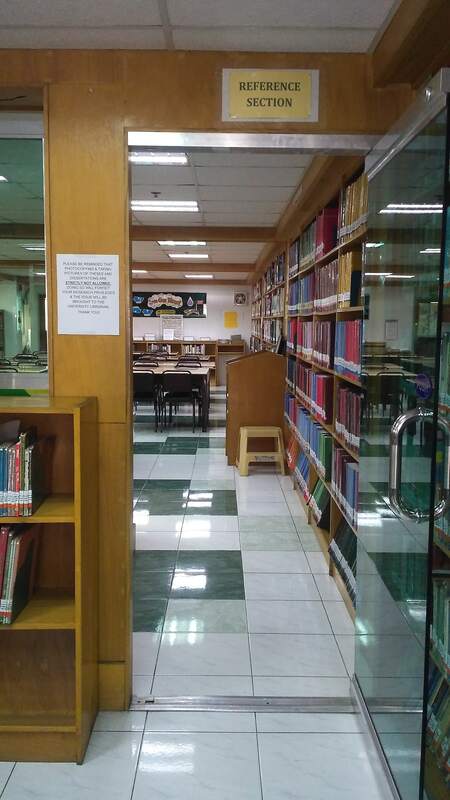 SPUQC University Library is located on the entire second floor of the St. Paul Building facing Gilmore Avenue and 3rd Street. 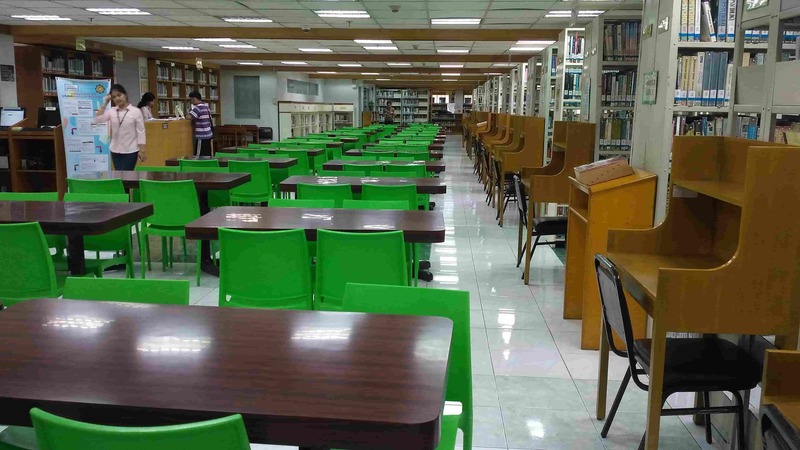 There is another library for the Basic Education department. Who are our Library Staff Librarians? Pictured here is the Reference Section located at the far end of the library. It is designed to provide guidance, instruction and assistance to users in locating information. Included in this collection are books with specific facts and provide quick information such as encyclopedias, dictionaries, directories, bibliographic, indexes, atlases, gazetteers, almanacs, yearbooks, biographical sources, among others. 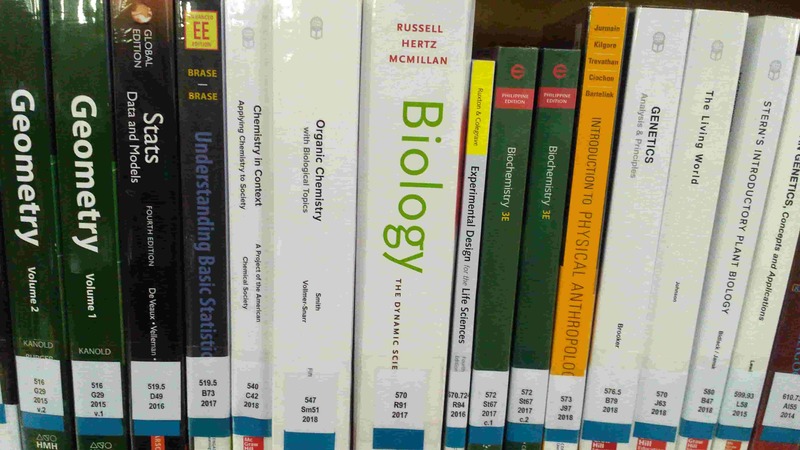 Books in this collection cover a wide range of subjects, including Philosophy and Psychology, Religion, the Social Sciences, Languages, Natural Sciences and Mathematics, Technology and the Applied Sciences, the Arts, Literature, are arranged according to their classification numbers on shelves along the reading area near the Circulation Counter. Books shelved here are those which are in high demand and have been designated by faculty members as required readings for their subjects. These books are withdrawn from the open stack collection and placed close to the circulation desk so that they can be readily borrowed. The Reserved Books collection is located behind the Circulation Counter. 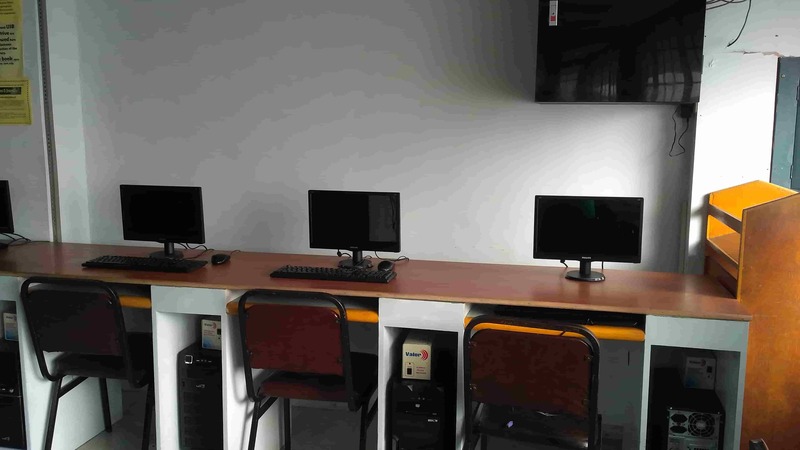 Twenty-four (24) computer terminals with internet access are available at the library’s e-Resources area for research purposes. Users may approach any of the library staff for assistance in accessing the library’s online databases. The Library Discussion Room is used by students for their research group meetings. This may be reserved for group discussions (maximum of 8 users). Students wishing to use the discussion rooms must secure the reservation forms indicating the topics for discussion, and the name of teacher 2 days before use. This collection consists of publications written by Filipino authors, published in the Philippines and abroad, and books written by foreign authors solely about the Philippines. 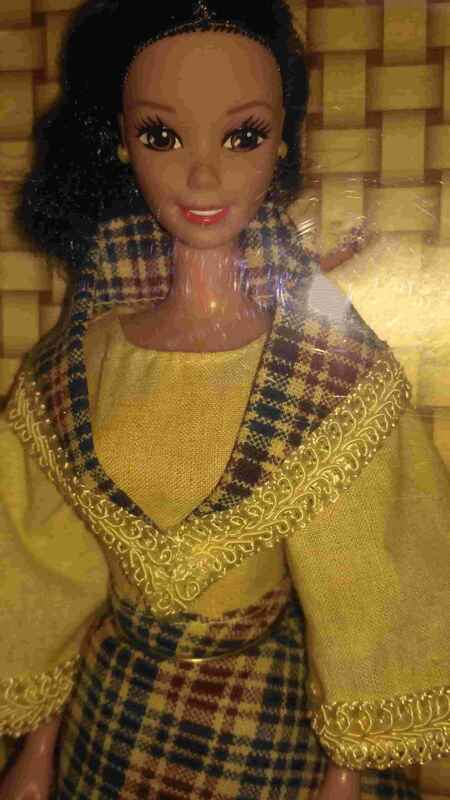 The Filipiniana collection is located at the end of the Reading Area.